Cretan music is wild and unpredictable. Quite a different thing to the disciplined bouzouki music of the Greek mainland. Endless melodies, one after the other in complicated 7/8 or 9/8 time, sometimes monotonous and archaic, sometimes almost ecstatic. The oriental influence cannot be missed. The main role is taken by the lyra, the traditional three-stringed instrument made of mulberry wood, supported on the knee. It resembles a violin, but is played by grazing the strings with a fingernail and plays the main melody. A theme is repeated with an infinite number of varitations and embellishments. 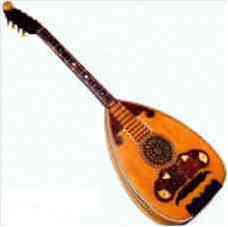 The laouto (a type of lute, doublestrung, 4 or 6 double strings) and the tambouras (bouzouki) serve as accompanying instruments. There is often singing, too, with the singer and the lyra leading the melody alternately. The verses mostly consist of Mantinades (or Kondylies), which are 15-syllable couplets with a lot of humour and spirit. They are often created spontaneously and deal with love, nature or worldly affairs, sometimes spoofing members of the audience. There are Mantinades for every occasion, and even children practise them. The pieces of music can be drawn out for as long as desired, by repeating the second half of the stanza together with the first half of the second stanza (A1+A2-A2+B1-B1+B2). 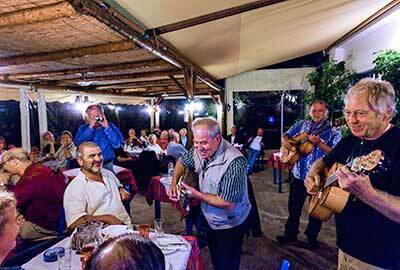 The original form of making music is met at most Cretan festivals. Even young peple are mostly interested in it, in spite of the existence of pop music, and there are even complete orchestras of lyras in the cities. The lyra is an exacting instrument to play, and with hard work and talent it can bring a masterful virtuosity to it's player. Cretan traditional music is very complex due to the fact that many civilizations, at various periods of time, have intruded and inhabited the island: Venetians, Saracens, Turks...Moreover, after 330 B.C. Greek civilization followed two trends, one following Alexander the Great (in the East) and another following the Roman trends (in the West). Crete was a colony of the Byzantine Empire and occasionally received many refugees. All kinds of music that the various cultures have introduced to the island have stayed there and created a chaos of sounds. The Cretans have combined and embellished all these kinds of music and created all these beautiful songs we can hear up untill today, like rizitika ('rebel' feast music), amanes (popular musical genre originated in Ionia and famous in Smyrna, which includes an instrumental introduction, two lines sung with long melismas on the word aman, and a faster instrumental refrain) and Erotokriti (folk songs based upon the celebrated love poem Erotokritos by the Cretan Poet Vincenzo Cornaros. It contains upwards of 10.000 lines, equal to 5000 verses, composed in the 16th century). Crete, due to its location in a tri-continent spot (Europe, Asia & Africa), has always been since antiquity a center of European civilization. According to lore, this is where the art of orchestration was first nurtured. The oldest known written musical piece is from 200 B.C. It's a part of the Orestes tragedy, written by Euripides 2 centuries before. On the Papyrus is a text as well as part of a melody. Letters from the Greek alphabet indicate the pitch of the song. A different, probably older method is used to notate the instrumental parts. It is unknown whether Euripides wrote the music as well and how it should have sounded. 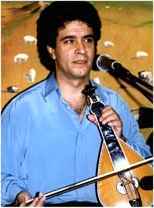 Brother of Nikos Xylouris and one of the members of this great musical family from Anoghia, Crete, Psarantonis developed his own style of playing the lyra and other traditional instruments and of singing. Depending on his great knowledge of Cretan musical tradition he breathes new life into the songs by adding new tunes and rhythms. The voice of Nikos Xylouris links the folk music tradition of the island of Crete and the 'entechnon' music trend of the '70s, itself a 'back-to-the-roots' aesthetic movement. One of the most prominent singers of both traditions, Xylouris became a symbol of resistance against the military junta of 1967-74. Above all, he was a leading lyre-player and folk singer. His unity of songs re-examine the relationship between tradition and the present. 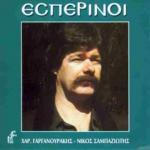 Many songs were also about the tense political climate in former Greece. He died in 1980 after a long illness. According to many Cretans the best lyra player ever. But you seem to have to be a Cretan to appreciate what he played, because of the many nuances. Unfortunately he died. Dimitris had a terrible car accident in Spring 2000, at which his mother died and he himself got seriously injured. We all hope everything will be better soon, but are sad because of this tragedy. He was born in Saint Mama of Mylopotamos, in Rethymno. 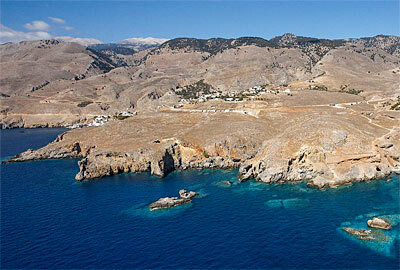 An area that according to an ancient tradition "gets" the most popular lyrists of Crete. 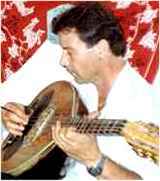 His father Manolis Alefantinos was an ancient lyrist and one of the most important instrument makers in the field of traditional music instruments and especially of Cretan lyre. So it was absolutely normal for Michalis to work on music. From an early age he was occupied with lyre in spite of his father's reactions that wanted him to be "literate". He was born in Piskopiano of Chersonniso. 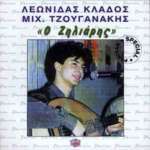 Since he was very young he liked Cretan music. 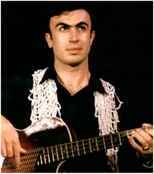 He appeared for first time in 1969 to play lute. He quickly became very famous and many lyrists wanted to be cooperated with him. 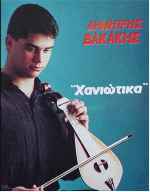 He played next to many remarkable lyrists such as: Giorgo Kalomiri, Niko Sopasi, Gianni Koufalitaki, Manoura, Kefalogianni, Stelio Vasilaki, Alecho Polychronaki, Manoli Karpoutzaki and many others. Born in Timbaki of Heraklion Crete in 1972. From the age of 10 years old he was occupied with music, now that he had his first incentives from his grandpas who were well known local artists. Firstly he worked on lyre and afterwards on guitar. He finished high and middle school in Timbaki and after his soldiering he moved out to Heraklion where he started lessons at the Greek Musical Academy and got the Musical Academy's certificate that offered him the capability of teaching at the private or public education. Let your youth have free reign, it won't come again, so be bold and no repenting. The rizitika ("rebel") songs represent the most important genre of vocal music in western Crete. The area of the rizitika is in the northern part of the Lefka Ori (White Mountains), within the province of Chaniá. Here the rizitika are the principal musical repertoire for feasts in the villages, above all marriages and baptisms, but also for simple banquets. Based on the type of performance occasion, rizitika songs can be divided into two repertoires: the tavla repertoire (songs for the table) and the strata repertoire (songs for the road). The tavla repertoire is reserved for convivial occasions, mainly wedding banquets. The strata repertoire is strictly reserved for parts of the wedding rites other than the banquet, that is, for the transfer of the dowry to the bridegroom's house, the ceremonial welcome by the bridegroom's mother of the bride, the gathering of the gifts, etc. These activities are accompanied by songs on the strata melody and called, as a whole, tou gamou tragoudi, wedding song. Erotokritos ("Tried by Love") is a rhymed, adventurous love poem of 10.010 lines composed about four centuries ago, during Venetian rule and the pre-Ottoman burst that came to be known as "Cretan Renaissance". Erotokritos was apparently written by Vicentso Kornaros, a Hellenized nobleman of Venetian extraction. Many Cretan singers like to sing some verses from this poem, some sing the whole Erotokritos during a concert. Folk songs based upon this celebrated love poem are called 'Erotokriti'. Can cozen human eyes to weep or smile. That he who starts in time soon leaves the school. Who hide a poison phial in the hand. Yet when it dries it will but split and break. by woodenheads, becomes himself a fool." The heaviest pain lighter ones cover. The foolish only trysts with shadows keep. They are changed by time, and time often takes them away. 'Amanes' is an expression used in the Middle East and Greece to discuss an emotion that is beyond a verbal articulation, it's a very extreme feeling. Usually the 'amanes' are a series of improvisations that take place before and during a song. In a way 'amen/aman' is very similar. It's just this finality of expression. Amanes are for people very ritualistic and really trying to lose their minds because of living in a certain kind of oppressive situation. It's very similar to (North African) Rai music in that way. Where to hear and find live Cretan music? Real Cretan (not Greek) music (Lyra and Laouto, not Bouzouki) and dances you can experience every evening in Rethimnon at Taverna Gounas (Panou Koroneou 8) and in Chania at cafe "Kriti (Lyrakia)" (Kalergon 22) near the fishermen's harbour. At both places you will meet Cretans and tourists together. Look for posters on trees with a picture of a musician playing a Bouzuki or Lyra. Ask at your hotel reception, they may know of any local events. A recommended place to buy cassettes, records and CDs with traditional Cretan music is: STUDIO A, Apokoronou 16 - 20, Chania, Tel. 86788. Cretan people are deeply connected with music and rhythm.Through their music they express their feelings, the joy, the sorrow, the love, the passion for live. Another great passion is dancing on traditional music. 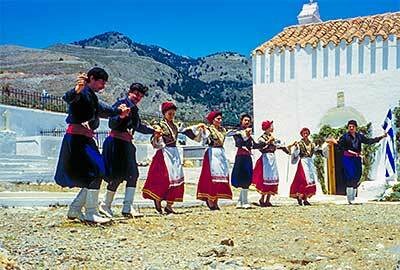 On Crete there are many kinds of traditional dances, like Maleviziotis, Pentozalis, Sousta, Syrtos and Syganos. Fast and lively dance that allows for very impressive improvisations by the lead dancer. It is the modern version of an ancient war dance that represents the adventure in battle. The tempo is 2/4 and it is danced in 8 steps towards the center and 8 steps towards the outside. Now it is the lovers' dance. It expresses the rich emotions of the Cretan people - life's eternal song. It is named after its small, noiseless and playful steps. It is one of the most beautiful love dances of our country. They used to dance Siganos holding each other's hand. During the era of Turkish occupation it became a team dance, the dance of friendship, the chain of unity and freedom and thus, the spiritual expression of the Cretan people. Traditionally a man's dance, fast and it is accompanied by "mantinades," the traditional Cretan lyrics. It took its name from the words "pente zala" which mean "five steps." The tempo is 2/4 and its is danced with 5 steps, which, expanded, become 9. Pentozali is originally from Rethimnon in Crete; it is now pan-Cretan and also known on the mainland. Although most outsiders would say that the dance has 8 or 10 steps, the Cretans use an unusual numbering method. The dance may be done either in place or moving counterclockwise. The basic steps of the fast Pentozali are among the trickiest to do in all of Greek dancing, and some variatons are even more difficult. The fast Pentozali may be danced alone or preceded by the slow Pentozali (Siganos). The slow pentozali is done with a hand-to-hand hold and the fast with a hand to shoulder hold. 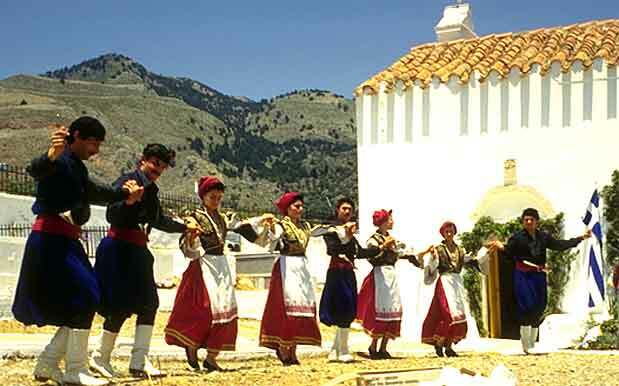 Traditionally, the dancers would sing traditional Cretan verse (such as the Kondylies or Erotokritos) while dancing the slow Pentozali. It's a traditional war dance representing revolution, heroism and hope. The black handkerchief on the dancer's head witnesses the sacrifices of the Cretan folk. This dance originated in the city of Chania in western Crete and is thus known on Crete as Haniotikos. This dance is done with a leader holding two kercheifs or bandanas in the left hand. There are two lines of people next to the leader, one behind the other, with the leader of each line holding one of the bandanas in the right hand. In the lines, everybody is facing center, and the hands are in the W-position for the Part I and down for Part II. This is an island syrtos. The music is in even rhythm, but for dancing we break it up into SSQ (Slow, Slow Quick) units. If we were counting, we would have three beats for each of the slow units and two beats for the quick. Normal Syrtos is SQQ. It is the expression of a secret decision for life and death, love and secret wishes, as the dancers express their sad or happy story through simple, creeping steps. Kastrinos is the most masculine, the fastest and the most impressive dance of Crete. It was named after the Great Castle (Kastro), today's Iraklio. Its brisk rhythm and liveliness give the opportunity to the dancer to show off his agility, stamina and his ability to improvise and impress with his figures. 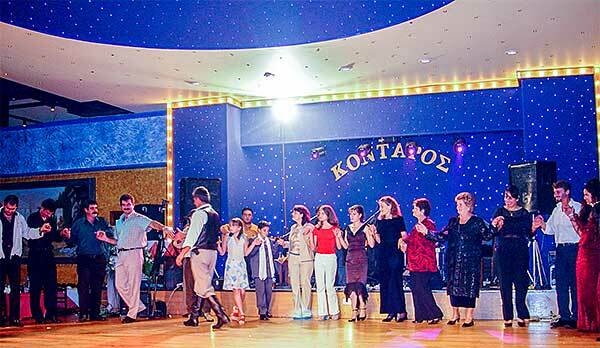 It is the most difficult, but also the most popular Cretan dance.